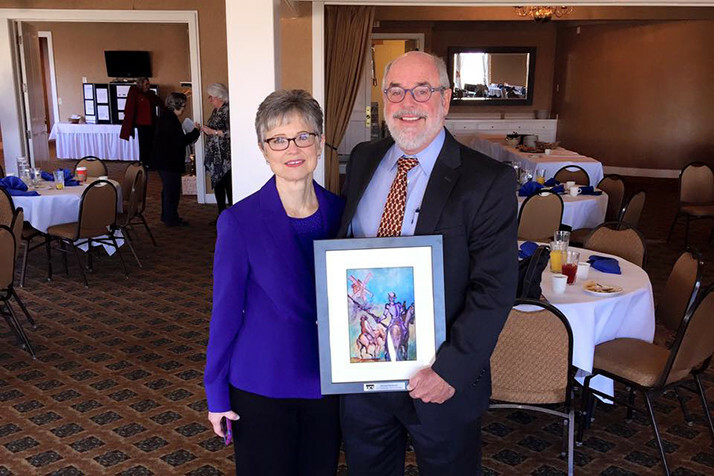 Hannes Zacharias received United Community Services of Johnson County’s 2015 Distinguished Public Service award. Photo via Facebook. For the past ten years, Jessica Murphy has been working in a variety of roles for Johnson County’s mental health services programs. It’s been a rewarding atmosphere — and she gives much of the credit for creating that atmosphere to County Manager Hannes Zacharias. 111 S. Cherry Street, Olathe. So it’s little surprise that Murphy was among the county employees gobsmacked by the Board of County Commissioners’ vote last week to terminate Zacharias’s contract. And she found she was far from alone. Every county employee she talked to about the vote was deeply upset at the news. In hopes of demonstrating to the commissioners who voted against keeping Zacharias that the move was widely opposed by county employees, Murphy set up an online petition through Change.org Tuesday lobbying for the decision to be reversed. “This coming Thursday, December 7, 2017, will be the first meeting since the Board of County Commissioners had this vote. It is my understanding that there is a chance for the commissioners in favor to request a reconsideration of this decision and possibly overturn this decision–resulting in Mr. Zacharias remaining the county manager and our fearless leader,” reads the petition. Since going live yesterday, it’s picked up more than 500 signatures. Murphy said she hopes it’s a way for the commissioners to better understand the wide support Zacharias has among county employees and residents and the unease their vote to oust him has caused. Murphy said her intent is not to “speak out” against the commissioners, but rather “speak up” and ensure that they understand how much support Zacharias has among county employees. She intends to present the results of the petition to the commissioners at their meeting Thursday, which will begin at 9:30 a.m. in the hearing room on the third floor of the County Administration Building, 111 S. Cherry Street, Olathe. She won’t be the only one to address the commission on the issue. A slew of community organizations, including Indivisible KC, have been organizing efforts to get members of the public to contact their commissioner and speak at tomorrow’s open forum. “I hope that we’re going to be able to show them the faces and the names of the people who are upset about this and that they’ll consider reversing the vote,” Murphy said. A group of county employees are also organizing a voluntary rally tonight at the gazebo between the courthouse and the admin building, where they’ll speak about how they’ve benefited from Zacharias’s leadership and how he’s impacted their careers. The group is hoping they can convince one of the commissioners who voted to oust Hannes from his position to introduce a motion to reconsider.